Happy Thursday, ya'lls! 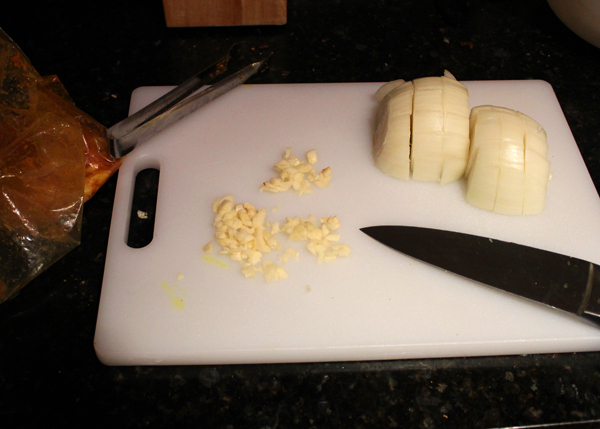 Today's recipe post is a recipe I'd gotten off of Pinterest. When I saw the photo I was immediately drawn to it. 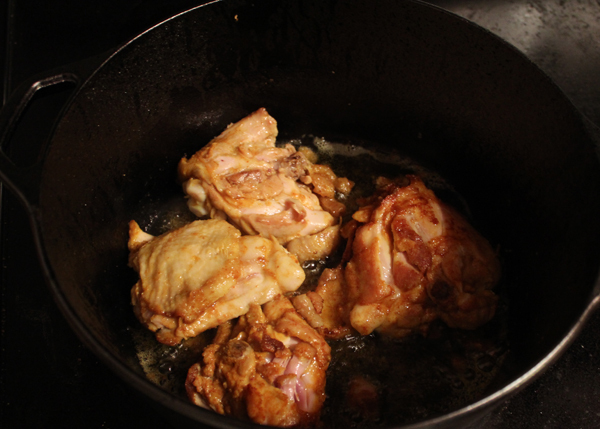 Then to see that it was a curry chicken recipe--oh yea, momma had to give it a try. Let's get this straight, I am a big curry lover--red curry, yellow curry, green curry...you name it. 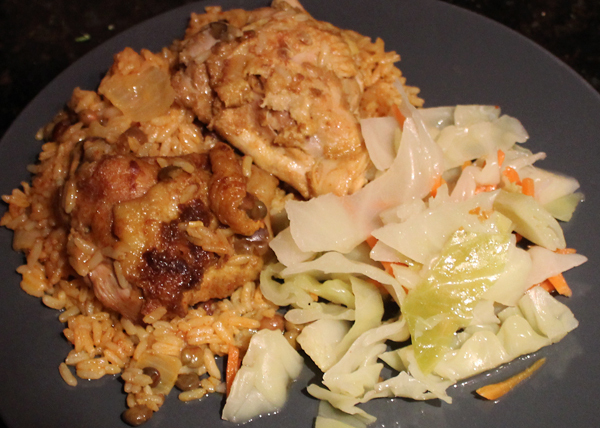 Now this dish involving the more commonly used yellow curry, I noticed that it would not be the usual "Caribbean style" curry chicken that I usually eat and/or make, but I'm always open to something new. Plus, it doesn't get any easier than a "one pot" dish. That alone was enough for me to try it. I also liked that the recipe called for a can of coconut milk. Listen to me when I say, coconut makes ANY rice dish taste better. Because of the Caribbean influence that is a big part of me, I also threw in a can of pigeon peas to give it more of an island twist. 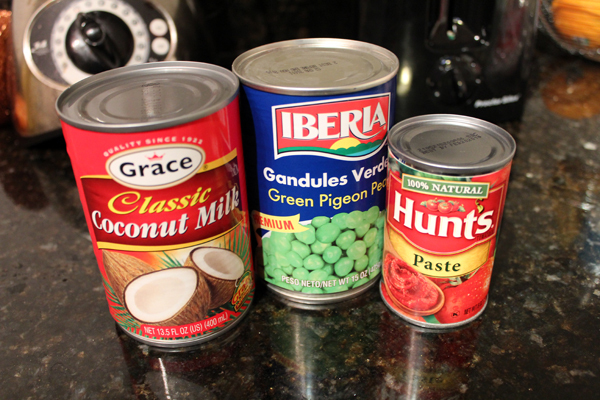 You can find pigeon peas (green or brown) in the international section of any grocer. I find mine in the Jamaican or Mexican sections. The only thing I wish I would have added to the pot, was a little bit of scotch bonnet (also known as habanero) pepper to give it a little "kick". Nevertheless, this dish turned out AWESOME. I do think it needed a little more salt, so next time I would probably use more--maybe 2 teaspoons instead of the half teaspoon the recipe called for. You can always salt it to taste on your plate, like I did, of course. Also, because I wanted to make this dish the minute I saw it, I went out and bought a new dutch oven. I always knew I'd needed one, so this was the perfect excuse. Instead of getting the nicer looking (and more expensive) enamel coated kind--I opted for the cast iron (which is what is underneath the enamel coating of the enamel coated kind). Cast iron is a bit harder to clean and requires a certain kind of care, but it lasts a lifetime! I couldn't live without my cast iron stove top grill/griddle! Plus, I'd read that the enamel eventually begins to chip off after a while on those coated ones. So I just spared myself the hassle. Hope you all enjoy this recipe! Let me know if you try it! Nik! You're a woman after my own Guyanese heart! I'm going to try this version but I am not going to leave out my beloved scotch bonnet! ahhh I love curry chicken! that looks delicious! 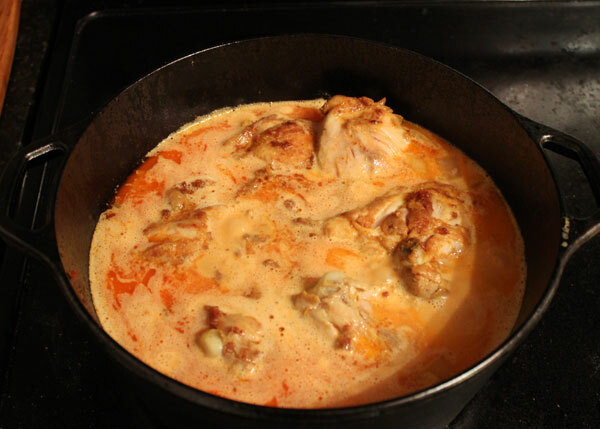 i love making chicken curry! Your food looks amazing! I WILL be trying to make this!